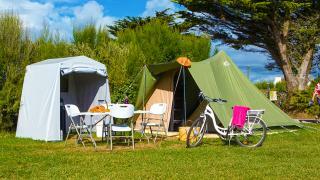 To ensure your stay in Brittany is pleasant and relaxing, holiday rentals at Camping Menez Bichen are equipped with all modern conveniences. Feel like a holiday by the sea and relaxing in touch with nature? Renting a mobile home or a chalet, or choosing one of the unusual accommodation rentals available at our 3-star campsite is the perfect solution! 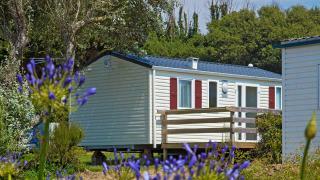 Well laid out in a verdant setting, most of our holiday rentals have a sea view. Our mobile homes sleep between 2 to 6 people and come with all the modern conveniences you'd expect. With an outdoor terrace, you're all set for enjoying pleasant, convivial meals with family and friends. Enjoy your stay to the full in a tranquil setting. 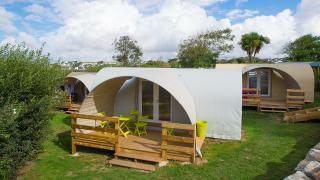 Our chalets sleep up to 5 people and offer the same advantages as our other holiday accommodation. 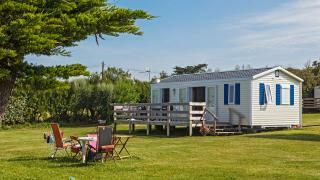 Go for the right choice with a holiday rental by the sea at Camping Menez Bichen!